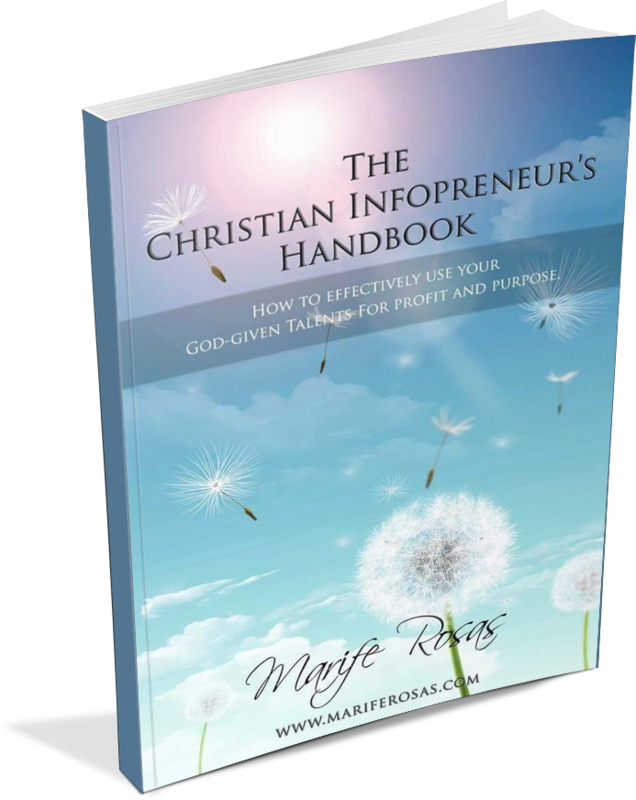 Welcome to episode 002 of the Christian Infopreneurs Academy Podcast. In today’s episode,we’re having Ms. Apple Diaz as our guest. She will share his insights and her own journey how she started using his God-given talents in educating other people and helping them to become a better version of themselves. She is one of my classmate in Online Community called IBMC (Internet Business Master Class) and he is one of our Trainer inside the community. Who is Maria Monaliza "aka Apple" Diaz ? Currently, she is the head of one training company in the Philippines. She conducts training in Communication, Customer Service, Leadership, and Motivational talk in different companies all over the country. - Learn How to She Discovered her passion in teaching. - What are the usual challenges that Trainers/Coach face most of the time and how to overcome? - What are the rewards of being a trainer/coach? ​- Why Online Business is so Lucrative for Educators. ​- Best advice for all aspiring Trainers/coach. 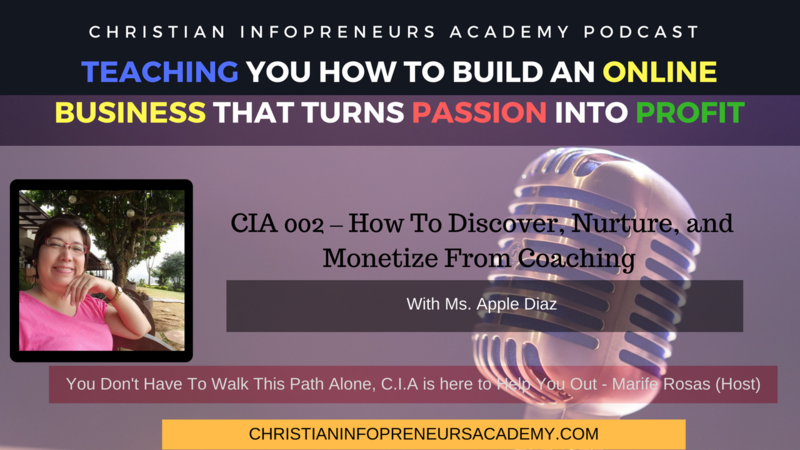 Kindly share this episode with someone you knew and please subscribe to Christian Infopreneurs Academy. *Please don’t forget to write a review tohelp grow and improve the show.You can email me at support@christianinfopreneursacademy.com if you have questions. Listen To Our ﻿﻿Podcast ﻿﻿﻿﻿﻿﻿﻿Here﻿﻿﻿. I am currently doing wellness coaching and frontlining in this Healthy Active Lifestyle.How can i maximize the God given talents i have po?Thanks for this invititaion.